The Absolute 43 from Italian shipyard Absolute has won the 2009 Croatian Boat of the Year award on behalf of online yachting magazine nauCAT. Now in its seventh year, the awards are judged by a panel of local and international boat builders whose boats are available on the Croatian market. 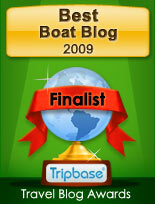 The 13.6m (44ft) Absolute 43 also received the best motorboat award in the 42ft-44ft category. 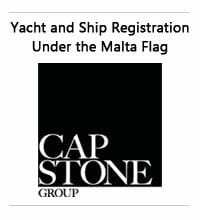 Aicon, the nautical Group from Messina which operates in the design, construction and marketing of luxury motorboats and yachts, listed on the Standard Segment of the Italian Stock Exchange communicate that the permanent board auditor and the vigilance committee member Giovanni Stella has effective immediately resigned from the roles due to the unexpected difficulties arising from reconciling the commitments of the position with his own personal professional activities. Albemarle Boats brand part of Brunswick Corp was sold to a North Carolina businessman, according to a local newspaper. Scott McLaughlin, who owns several businesses around the state, including Cypress Cove Marina in Columbia, has purchased the boat company and its manufacturing facility for an undisclosed amount. McLaughlin told the news that it was an all-cash offer, but would not elaborate on the price. Albemarle Boats manufactures fishing boats from 24ft-41ft (7m-12m) from its facility in Edenton, North Carolina, and currently has 23 employees. McLaughlin says the factory has the capacity to build 100 boats per year. Albemarle was part of Brunswick's "Hatteras Collection" division, which is now comprised of the Hatteras and Cabo brands. The Azimut-Benetti Group, first private company in the luxury nautical yacht construction, reinforces its position in South America. 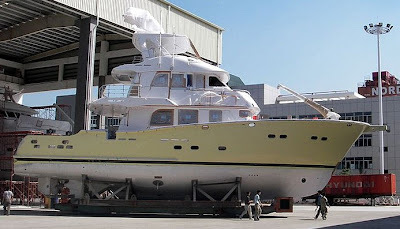 The company, owned by Paolo Vitelli, has agreed with the heirs of Gilberto Ranalho, owner of Intermarine recently dissapered after an incident, gor buy out of the Brazilian builder. Intermarine is the most important yacht builder in Brazil and controls 60% of boat sales in Brazil. 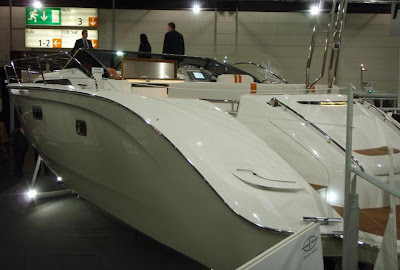 In the nineties Intermarine made an agreement with Azimut for the production and selling of the Italian brand. 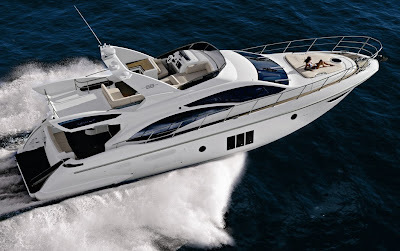 It is with this agreement that in Brazil today there is a complete fleet of Azimut yachts from 29 to 80 feet. At the moment Intermarine employs 900 persons and has a production area of 20.000 square metres. The finalization of the agreement between Intermarine and Azimut-Benetti Group will happen after the legal authorization and procedure is completed, and does not require immediate cash payment but will be financed with the estimated profits Intermarine developing in the next 5 years. Ferretti Yachts and Mochi Craft have chosen BOOT Duesseldorf 2009 as the setting for the presentation of the new, revolutionary ZF SteerCommand for Ferretti steering and manoeuvring system, developed by ZF Marine, a world leader in the production of marine propulsion systems, and customized for the Ferretti Group in close collaboration with AYT (Advanced Yacht Technology), the Ferretti group's naval design and research centre. SteerCommand technology is based on the "steer by wire" system, developed by the aviation industry to provide more precise route-keeping and allow on board weight to be cut. This was then adopted by top-end car manufacturers to control driving stability. In the nautical world it is a feature that appears on sizable yachts like Ferretti Yachts and Mochi Craft models, which can offer this technological innovation through the exceptional collaboration between AYT and ZF. ZF SteerCommand for Ferretti embodies the highest levels of technology at the service of the nautical industry, setting new standards in manoeuvrability and comfort in all sailing conditions. ZF SteerCommand for Ferretti, in fact, allows yachts to be sailed and manoeuvred in total safety at any speed. The servo-assisted movement of the two rudders and the ability to differentiate between the toe-in and toe-out rudder angles provides unprecedented manageability, involving: faster rudder response, tighter turning radius, maximum safety in any sea conditions, automatic back-to-zero steering wheel positioning, maximum smooth control with active feedback to the helm, easier manoeuvring when mooring, variation of angle between rudders as a function of boat speed. In order to increase comfort and handling stability even further, the ZF SteerCommand for Ferretti active feedback dynamically varies the turning resistance of the helm wheel according to the yacht's speed, while at lower speeds it makes steering smoother and easier, facilitating mooring operations. Steering comfort is further enhanced by ZF's innovative Joystick Manoeuvring System (JMS). The JMS provides electronic control of motors, stern and bow thrusters. An electronic control system allows the craft to be moved in any direction by moving the joystick. Approaching a quay, 360° on-the-spot rotation and other manoeuvres that are complicated to execute using the traditional control levers become extremely simple operations, as the electronic JMS system provides precise throttle control and smooth engagement of the drives. The innovative Joystick Maneuvering System (JMS) by ZF now also ensures outstandingly effective handling for shaft line yachts of any dimension, even in difficult sea and weather conditions. ZF SteerCommand for Ferretti will also limit considerably roll while turning, even at high speeds, through constant, independent management of the rudders, ensuring comfort and safety under way. The entire system is designed to withstand high workloads and has been tested to be safe, reliable and function without interruption, ensuring excellent performance even under the most adverse conditions. ZF SteerCommand for Ferretti will initially be installed on board of Ferretti Yachts (Ferretti 510, Ferretti 592, Ferretti 631) and Mochi Craft models (Long Range 23, Dolphin 54'). It is an exceptional innovation that reflects the philosophy of excellence shared by the two Ferretti group yards. Hatteras Yachts said in a statement that it has restructured its operations in the face of one of the most difficult marine environments in decades. The company has cut 330 workers, just slightly more than half of its workforce. Hatteras Yachts chairman Bill Naumann, who was brought back from retirement to oversee the reorganisation, told the New Bern Sun Journal that the company is redesigning its business model. Hatteras previously employed about 1,400 people in New Bern and had a facility in Swansboro, North Carolina it closed down last January that employed 200 workers. In December, it sold its Albemarle facility in Edenton, North Carolina, to a North Carolina businessman. With the job cuts, the New Bern facility now has 295 to 300 workers. Meyer said he hopes to rehire most of the laid off workers when the industry rebounds. Naumann added that Hatteras would work more closely with its dealers to reduce current inventory levels. Part of the reorganisation was also a renewed focus on every aspect of design, R&D and manufacturing of the Hatteras yacht line. Itama, the brand that has written the story of Italian open yachting, together with Allied Marine, its exclusive distributor for the United States, will be taking part in this important event for the very first time and celebrating its official launch on the American market. This momentous move demonstrates the widely acclaimed popularity of the Italian shipyard that since September 2008 has established its headquarters at the impressive Torre Annunziata Yacht Centre, a modern production area that covers an area of over 125,000m. The Miami Boat Show offers Itama an ideal opportunity for emphasizing the brand’s increasing internationalization and further highlighting the distinctive “Made in Italy” character of its boats. The agreement signed with Allied Marine also reinforces Itama’s penetration of the America market, thanks to the dealer’s wide-reaching distribution network and its numerous service points in Florida. Itama has therefore become a major ambassador of “Italian style” overseas, and has succeeded in placing at the forefront of this prestigious, international exhibition, one of the market’s most exciting innovations and the pride of its fleet, the new Itama SeventyFive. Distinctive contemporary style, traditional Italian craftsmanship, versatility, power, performance and design innovation all combine to make the Itama SeventyFive a real yachting gem. A spectacular achievement that has been made possible thanks to the company’s insistence on the most up-to-date technology and constant research into the latest style trends. 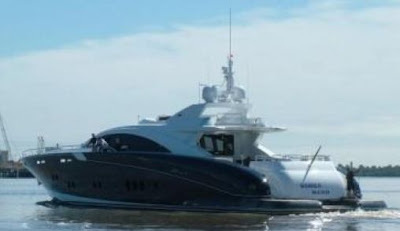 Having enjoyed huge success and acclaim in Europe, the Itama SeventyFive is now poised to make its grand entry onto the American market, confident of its ability to win over a public that is particularly attentive to technological innovation, functionality, and space design focused on direct sea contact. On January 30, to underline the importance of its launch on the American market, the Itama flagship will also be the star of a prestigious event where guests can relive the story of the Itama brand in a highly elegant setting. Featuring a series of prestigious sponsors, including One Sotheby’s, Moleca providing premium carpirinha cocktails and catered by Maison D’ Azur, the event will take place at Capri South Beach, a boutique luxury condo property in Miami Beach. The focus of the event will be the unveiling and presentation of the Itama SeventyFive for Miami’s elite. Each year, the Croatian marine magazine, Naucat, organizes a competition for the title of "Croatian Boat of the Year". For the 7th year, a jury composed of marine professionals awarded the title once more to two new model, selected from among 62 models in competition! 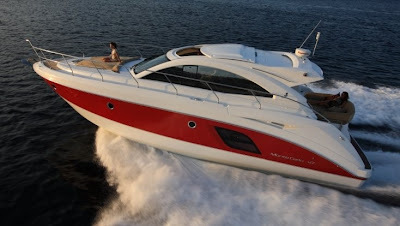 The Jeanneau 50 Prestige, a new model for 2009, was awarded the title, "Croatian Boat of the Year 2009," in Category 1: motor yachts of over 49 feet in length. Expressions of interest are invited from Maritimo owners to join the Great Southern Muster this April. In the past, we have Musters north to the beautiful waters of the Whitsundays. This time, we are running south on another adventure of a lifetime. The idea is to get boats from Sydney, Melbourne and Adelaide (Queensland owners can join in Sydney) and run the Muster to Launceston, Tasmania. The Muster will be led by experienced skippers Greg Alward and Bass Strait expert Geoff “Hendo” Henderson who has some 40 years experience in the Southern waters. All boats will meet at Refuge Cove on Wilson’s Promontory and then travel on to Beauty Point at the mouth of the Tamar River in Northern Tasmania. We will overnight at Beauty Point and dine at the new yacht club beside the river before travelling the 40 kilometres up the Tamar to Launceston. After our stay at Launceston we will head back down the Tamar to again overnight at Beauty Point then head back out into Bass Strait and our next overnight stop at Flinders Island. Following our stay at Flinders, the Adelaide contingent will depart west and the Melbourne and Sydney boats will continue on toward Refuge Cove with (hopefully) a stopover at Deal Island, the largest island in the Kent Group. After our stopover at Deal we will head back to Refuge Cove and then on back to Sydney and Melbourne. The Melbourne boats can refuel at Port Welshpool if necessary and Sydney Boats will again head to Eden for refuel. The Great Southern Muster will certainly be an adventure and a great chance to test your boat, your seamanship and your navigation skills in some of the most spectacular and remote areas of Australia. Marquis Yachts, builders of premium quality yachts 42' - 72' in length, will be showcasing a new 720 Motor Yacht designed by Nuvolari-Lenard's Valentina Zannier at the 2009 Miami International Boat Show. Valentina Zannier is a partner and lead designer with Nuvolari-Lenard Naval Architects of Venice, Italy. She developed her visionary design skills as a student of Italy's Artistic Liceum and as a graduate of the famous Architecture University of Venice. Ms. Zannier has directed the interior layout, design, and fine detailing of several recently built mega yachts developed by the Nuvolari-Lenard firm. Her yacht design expertise is evident throughout this new Marquis. The Marquis 720 Motor Yacht is fascinating and reflects Ms. Zannier's contemporary European design influence. Step into the yacht's spacious salon where open grained, select oak hardwood is used to create bulkheads and cabinets. This is a Marquis - so the attention to detail and craftsmanship is outstanding. The salon sole is Brazilian cherry and serves as a beautiful backdrop for the handmade Italian leather furnishings from Calia Italia. Illumination throughout the yacht is provided by a combination of fixtures designed and made by Cantalupi of Viareggio, Italy. Oak cabinetry is carried forward throughout the yacht's spacious galley which is richly surrounded by intricately flecked and veined granite flooring and countertops. A dining table for six is situated adjacent to the galley and features an inlaid icon of the Nuvolari-Lenard marquee, a prestigious symbol recognized by experienced yachtsmen throughout the world. Below decks the opulence of the Zannier design continues throughout the yacht's four private staterooms. The Master Stateroom is the owner's private domain. Oak cabinets, drawers and hanging lockers are not only expertly crafted and beautifully finished but also designed to be highly functional for live aboard convenience. Rubelli fabrics were imported from Venice to create the luxurious bed covers and pillows in all staterooms. Deep pile Ralph Lauren carpet is used throughout the lower deck. The Master Bath with marble floor and counter tops is a showcase for yacht finish quality. The spacious stall shower is surrounded by an artistic pattern of ceramic and dark Emperador marble tiles from Spain. Additional details include hand sewn leather appointments on the king sized bed pedestal and stainless steel inserts on the cabinet surrounds. 2009 once again proves to be a year of top-level awards and accolades for Mochi Craft, which triumphed in Düsseldorf at the European Powerboat of the Year. This prestigious event held by the Delius Klasing Verlag publishing group during BOOT Düsseldorf saw the Dolphin 54' Fly crowned winner in category of "Best yacht over 50 feet". This new accolade comes after recognition at London's prestigious "Motor Boat of the Year Awards 2009" in early January for the sun top version of the same model in the "Traditional and Retro" category, reflecting the excellent reception it has enjoyed in the British market. Outer Reef Yachts, part of the American Global Yacht Group are pleased to announce their expansion into the European Yacht market. After a successful Dusseldorf show, where their class leading range of long distance semi displacement trawlers met with great approval and enthusiasm from not only experienced yachtsmen but press and trade alike, Outer Reef Yachts have appointed Mr Trevor White to head up the new Outer Reef Europe operations. Trevor White is also the Chairman of Ocean Nautic Limited, the well respected solus UK and Ireland distributors for Absolute Yachts, who coupled with their strong knowledge base of the Mediterranean and north European markets is a perfect match for Outer Reef who pride themselves on their exceptional customer service. Outer Reef Yacht builds premium quality semi displacement, semi custom built Raised Pilot House trawler style yachts from 58 through to 115 feet. Outer Reef Yachts clients cruise the world’s favoured oceans and waterways in absolute comfort and luxury. All vessels in the Outer Reef range are built under strict ISO 9001, CE and ABS rules obtaining CE open ocean category ‘A’. Paolo Favilla is the new CEO of Pershing SpA. Favilla replaces Fabio Fraternale, CEO of Itama SpA, who was named CEO of Apreamare SpA in November 2008. According to a company statement, the two appointments are part of the group's strategic growth plan for Apreamare and Itama, two of Ferretti's nine motoryacht brands. Favilla will work alongside Pershing founder and Chairman Tilli Antonelli, who will continue to deal directly with Pershing and Itama-branded products. Prior to joining Ferretti, Favilla was general manager of Grandi Navi Veloci and a board member of Grimaldi Holding SpA, favoring the entry of private equity funds into the group's capital. From 1999-2004 he held the role of CEO at private investment bank Banknord SpA, where he also served as partner. Riviera boats swept all before them in a tightly contested Riviera Gold Coast Light Tackle Masters game fish tournament over the weekend, taking first and second places overall as well as the Champion Female Angler title. The tournament, held from the Marina Quays International at Hope Harbour on Queensland’s Gold Coast, ended on Sunday afternoon with three of the results relying on countback. Riviera 51 Enclosed Flybridge The Phantom was overall winner, beating Riviera’s own corporate boat, the 48 Offshore Express Fascination IV on a countback, tagging its marlin earlier. The Phantom, with her new owner Ian Walker, was Riviera’s previous corporate boat, Fascination II. Riviera awarded a special trophy to the Riviera team who scored the most tag-and-release points throughout the tournament. The trophy was won by the team on board The Phantom. Champion Male Angler went to Dane Rusmussen on board Legacy Gulfstream while Champion Female was won by Lorraine Golightly on board Fascination IV. According to Gold Coast Game Fish Club President Darren Malaquin, the number of juniors competing was particularly exciting for tournament organisers. More than 150 anglers aboard 38 boats ranging from six metres to 19 metres in length competed over the weekend for prizes valued at a total of $65,000. Boats come mainly from the Gold Coast but some anglers came from as far away as Melbourne and Townsville and New Zealand. The tournament was scheduled to run over three days - Friday, Saturday and Sunday - but Saturday was called off after the Bureau of Meteorology issued a Strong Wind Warning for the area. However, action on Friday and Sunday ensured a close finish across all categories of competition. 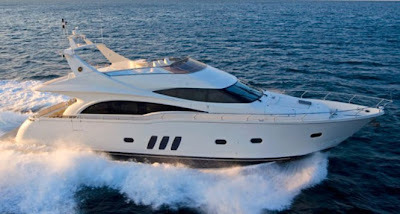 In its on-going development program, Sunseeker International has officially announced the launch of its latest project. Codenamed "Zeus", the project is the company's proposed move into aluminium construction - a development that will allow them to build vessels in excess of 170 feet (52m). Following a number of requests from interested clients, a series of outline designs have been produced. The demand for larger, more individual designs combined with Sunseeker's unrivalled reputation for cutting-edge styling and higher levels of performance is a natural step for the company. This new development will mean changes to the construction processes currently employed in their very successful range of craft. New facilities are being planned to accommodate the one-off building processes required for such large vessels. The company is very well equipped to cater for the fit-out and finishing of these new superyachts having already gained worldwide acclaim for their Yacht range, which consists of luxury craft up to 150 feet (46m) with styling and interiors comparable to much larger vessels. The new Shipbuilding Division at Sunseeker will provide a fully integrated service of design, construction and project management. Each model will be totally unique, customised to the clients' individual requirements and built to appropriate classification depending on type and area of use. The new luxury Nordhavn Expedition Yachtfisher can take you there on her own bottom. At 75 feet, the Nordhavn EYF will present true offshore capability and the range needed to explore, experience, dive and fish the most productive fishing grounds in the most exotic places the world has to offer. All of this, plus the same comfort and security Nordhavn owners have become accustomed to. During the past 25 years, Nordhavn has earned a reputation for designing and building highly capable seaworthy power cruisers. True to its oceangoing pedigree, the EYF has a range of up to 4,000 miles and is equipped to be self-sustaining for extended stays in remote parts of the world. Built to the highest international standards and extensively outfitted with the finest equipment, the new Nordhavn 75 EYF was created for those with a passion to explore exotic fish and dive sites on their own luxurious yacht. While an increasing number of sport fishermen are having their boats shipped long distances by yacht transport companies or having to choose charter boats in order to fulfill their passion, the EYF will allow her owners unlimited adventure in safety and complete luxury. The 75 EYF is a twin-engine, full displacement yacht that carries 5,000 gallons of fuel and 600 gallons of water. It displaces 235,000 lbs. and is designed to cruise economically at 12.5 knots with a range of 1,850 nautical miles. At its maximum cruising speed of 13.5 knots, its estimated range is 1,237 nautical miles. Top speed is an estimated 14.3 knots. A project for a new flagship from renowned US boat builder Sea Ray, which present what is its biggest build at 75 feet, a flybridge Motor Yacht so far named 750. This is interesting news from Sea Ray showing in the renderings a European design influence in the forms, but most recognizable in the super structure. It will be available in a 2 version interior, both of them with a 4 cabin 4 head version and 2 berth crew cabin aft. The 2 version interior differs in the plans mostly in the main deck, but also in style difference and materials with 1 being modern minimal and 2 a classic conservative. Version 1 welcomes you with 2 settees on either side of the saloon, move more forward and you find an 8 person dining table in the middle. There is also a day head rare to find on this size on the main deck and a separate galley which is located just behind the dual seated helm station. Version 2 and its classic contemporary interior plan welcome you in a c-shaped settee, a spacious galley double to size of version 1, and an 8 person dining table to port of the starboard helm station. Sea Ray also offers an option for the aft area of the flybridge with the choice of an l-shaped settee or a water craft stowage area with crane. Other interesting feature is the 6056 litre fuel tank, quite big for a boat this size. Power is a standard twin MAN 1550hp or option 1800hp MAN. Hull number one is apparently already in construction stages although launching dates have not so far been announced. Cobalt Yachts presents the 37, now the second boat in the Cruiser and Yacht line, from the USA builder. The new 37 is very similar to the 46, both with classic lines flowing along bonded side windows extending the entire length of the hull, and as is its larger sister offering creature comforts of far larger boats, accented by Super Yacht standard custom cabinetry, making every best possible use of interior space. Case in point: the two full beds with conventional mattresses in lieu of the convertible cushions of a settee that other manufacturers term a midberth. A solid panel secludes the master stateroom, opening and airing the cabin. The overall efficiency and roominess of interior spaces arise in large part from Cobalt’s willingness to use multiple, complex molds in the fabrication of parts, leading to designs simply not possible to restricted simple, unimaginative molding. Designed and engineered to exacting specifications for open water performance and saltwater durability, the 37 has been built ready to take on the traffic in coastal waters and inland lakes alike. Where others are quick to speak of value-added engineering, a euphemism for the subtraction of the very best materials from a boat’s construction in an effort to keep costs down, Cobalt has beefed the 37’s design, calling for high technology in both materials and their application. The full-length stringer system has been reinforced with carbon fiber, laid up with vinylester resins, add to this a solid fiberglass Kevlar strengthened hull bottom with full ¾” thickness, and the structural bulkheads are of total composite construction and are vacuum-infused. Azimut has been an innovative builder in motor yachts and cruisers in the last two decades, breaking the ice with revolutionary designs outside and setting new trends with innovative layout plans inside. 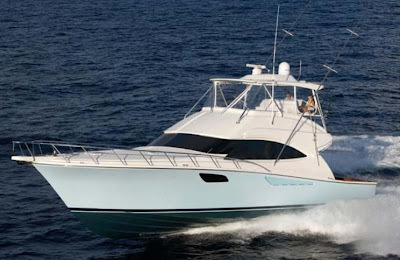 So when the 58 of the called F for flybridge series was presented in the fall of 2007 there was much anticipation for this model, which will have a starting challenge replacing the 300 plus delivered 55 in the long term of the Italian builder plans. The 58 though has not been the expected revolution over the 55, but a general improvement in all parts starting with bigger engines, and going into detail on the improving accommodation with high selling point coming in the VIP fore cabin with its scissor transforming berth from double to a nice twin for two big adults, making this cabin a family or guests affair. Other improvements are the high low bathing platform, bigger flybridge, more spacious aft deck, opening vertical windows in the master cabin, and last the modified saloon now feeling larger and smarter. The 55 which was presented in 2000 was always about the full beam owners cabin, making sure this model was delivered at 300 plus in an 8 years production span, a record in its size and time. The 58 offers a similar interior 3 cabin 2 head lower deck plan mirror improvement to the 55, but board the new Azimut and it does feel bigger and different. The theme is about modern minimal accents, with oak wood joinery and natural light coming from the large windows featured in all part of the yacht from the large shark fin windows in the saloon, to the rectangles in the VIP cabin and the three longitudinal windows in the owner cabin which also are a novelty here being able to open. Praised feature is the fore VIP cabin which with a scissor movement can go from a nice queen size double to twin single berths. Full beam owners cabin follows the traditional layout with a 45 degrees positioned berth, and a beauty desk opposite. There is also the twin guest cabin in between all this. If desired a single berth crew cabin with private head can be fitted as optional aft. A tried and tested hull also derived from the 55, with a good balance of weight and navigational speed put into it. Azimut 58 hull is a variable geometry moderate vee with 15.5 degrees aft, with deeper sleeker forward sections. Running gear and propellers run in tunnels for reduced shaft angle and better efficiency. The twin MAN R6 800hp are the real difference here which give top speeds of 32 knots and a cruising of 28 knots. Not bad for a loaded weight of close to 29 tons, and what I would also call moderate power. For easy marina manoeuvring Azimut also offers a joystick which can spin the boat around with the help of a stern and bow thruster, a solution seen on the bigger boats from this Italian builder since 2003. Criteria for competition was 17 metres and 3 cabins on what is a highly competitive size, with many builders offering a similar concept to the Azimut 58 F, that is of a full beam owners cabin. The others going to a more traditional layout of a forward owners cabin are the Ferretti 551 or the VZ 56 which surprisingly both come from Italy. Another surprise is how much this type of motor yacht with flybridge and 3 cabins is international today. with builders spanning from Europe with Italian British builders, to the middle East from Gulf Craft owned Majesty to Australia with Maritimo. 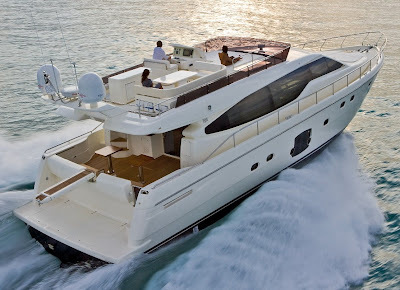 The US offers are the feel big Hatteras and Canada built Neptunus, but there could be 3 more to this, but other American built flybridge don't offer lower helm. Azimut has built the 58 around improving the 55, with new ideas introduced on the other models of the range: like hi-lo bathing platform for easy tender stowage, square shaped bow which allows better deck space but also gives more room below in the cabin, free usable space on the flybridge which looks coming from an 80 feet plus super yacht, and last but surely its higher selling point in the scissor moving double berth forward. All this while not really new on an Azimut looks still very fresh on the 58! The big billion $£ question now is whether the 58 will have the winning success the 55 enjoyed in its 8 plus years of production. First outing in Genoa Show 2007 showed good sales in favour for the 58, what is an exceptional result with much tighter competition now then in 2000. Picture Copyright Azimut Yachts. Data Azimut Yachts. Close behind the new flagship Viking 82, here is the new Viking 46 Convertible on launch day. The second of four new models that Viking is introducing for 2009, the 46 Convertible features this US builder renowned unparalleled attention to excellence. With an all new running surface and prop pockets to reduce draft, the 46 Convertible shares numerous design, construction and performance elements of both the 2008 new models the heralded Viking 50 and 60 Convertibles, albeit in a slightly smaller envelope making it an ideal choice for the owner operator seeking 44 years of boat building expertise in a scaled down version of its tournament winning champions. The two-stateroom, two-head layout provides plenty of comfort and privacy and the 121 square-foot cockpit includes Viking’s signature observation mezzanine. Hull number one of this exciting new series is outfitted with a pair of the bigger MAN V10CRM 1100hp common rail diesel engine choice. Smaller twin 900hp MAN V8 are the standard engine choice. The new Viking 46 Convertible will make its worldwide premiere with 3 other new Viking's at the Miami Show in beginning February, with what look like a stunning display from this high quality boat builder. After announcing it in 2006, Warren Yachts launch the much waited prologue to its S range, the S120, flagship of its Super Sport Yacht range now offering three models from 23 to 36 metres. Those with an appreciation and the determination to possess one-off quality and true custom fit and finish will find the four stateroom S120 to exceed all expectations. Exquisitely custom tailored to owner need and desire, the first of the series was recently launched with a second in final construction phases and scheduled to launch soon. The S120 can be configured with a variety of main deck layouts, stateroom and crew accommodations and styling preferences. Add available engine and drive options to satisfy the highest performance requirements and the S120 reaches a level of personal expression unavailable in the semi-production world. For twenty six years, Warren Yachts, a division of Shipworks Group, has been a premier builder of highly engineered, performance driven custom yachts and by remaining true to its custom heritage, this Aussie builder maintains a level of manufacturing and finishing perfection in their semi-custom Super Sport Yacht line that defines the company and provides the best in class option for those who seek the ultimate in the category. Italian yachts is a company located in Genoa, Italy which comes from a successful period following the presentation of the Paolo Caliari designed 76 Jaguar a few years back. Now the company wants to pursue this good start with more continuation, presenting 3 upcoming project models, two following the line of the 76 Jaguar of Sport Yachts, and the one above the 27 Navetta going into a new environment and type of yachting for the builder. This project is the biggest offer from this builder, and is a three deck plus displacement superyacht, with a calculated top speed of 13 knots with twin 700hp engines. Interior is a 3 or 4 guest cabins in the lower deck, an owner cabin on the main deck, and 2 crew cabins forward with crew lobby and galley. Soon coming to the water is the evolution of the Italian Yachts 76 Jaguar created by the great Paolo Caliari, the 80 Jaguar Sport which is designed by a rising name of Italian yacht design, Roberto Angel. Design, engineering, sports lines, charm, instinct, rationality, power and comfort is the 80 Jaguar Sport perfect synthesis. This 25 metre Super Sport Yacht will offer a 4 cabin en-suite layout, with crew quarters and galley located midship. Power is by twin MTU 1800 HP each, which will enable maximum speeds of 42 knots. The new 70 Jaguar will be a step forward for this size and type of yacht, taking something from bigger boats in its aggressive exterior design, and from smaller ones on the hull shape. The exterior while offering modern looks offers a deep deck area on the fore part with a central circle sun lounger in the middle. This is unusual for a 21 metre sport yacht, and on the renderings looks good. It also gives the advantage of not having sunbathers obstructing the helm station views while underway. On the accommodation front the standard layout is a classic 3 cabins layout with owner cabin to fore, and saloon with opposing galley to midship. Hull shape innovation comes for the two stepped hull vee shape with a 21 degrees deadrise, this is common for a powerboat, but unusual for a 21 metre Sport Yacht. Performance will also be on the high side estimating top speeds of 45 knots with twin MTU 1500hp engines, but smaller 1200hp MTU will also give 42 knots max and cruising speeds of 34 knots. The Beneteau 47 MonteCarlo, is the latest edition to the modern sport cruiser range from this World renowned boat builder. The 47 MonteCarlo is so far the biggest model in this range, and was fittingly launched during the Paris boat show in December, and named by the football star Bixente Lizarazu. At the end of a breathtaking on-screen presentation, designed to give the visitors crowds a virtual tour of the boat, and supported by a choreographed routine on a James Bond theme, the MonteCarlo 47 was revealed majestically to the eager eyes of the spellbound audience. Drawn by Italian designer Pierangelo Andréani and the Beneteau design team responsible for the hull shape, the MonteCarlo 47 is a luxury Express Cruiser in the purest Mediterranean style, offering a flexible interior. The lower accommodation can be ordered with a 2 stateroom, galley and saloon or option 2 with third 2 single berth cabin, taking the place of the L-shaped saloon settee on the standard version. Power is provided by twin Volvo IPS600 of 435hp each. 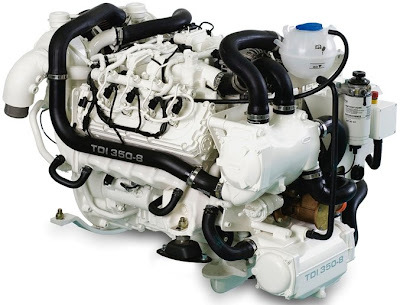 In 2009, a brand new high end diesel engine for luxury boats will enter the stage: the Volkswagen Marine TDI 350-8 Audi’s 4.2 litre V-8 diesel is an engine without precedent and without immediate competition. Being offered only aboard exclusive, power oriented vehicles like Audi Q7 and A8, this engine serves those who wish to be pushed back into their seats whenever they only touch the accelerator. While its sheer torque is equivalent to sizable truck engines, the engine offers exceptionally civilized manners. Piezo-controlled common rail injection, the typical refinement of a modern V-8 engine and uncompromising engineering allow this power plant to be nearly inaudible, unless its huge power potential is challenged. Major players in the quality boating world have demanded this engine ever since first stories were heard about it, and now that the marine version is ready, its potential truly offers new options for boat design. Its wide engine speed range allows easy application and propeller choice, enabling low maneuvering speed without trolling valve and exceptional acceleration. Its immense power allows replacement of big block gasoline V-8’s without sacrifices in top speed, whereas acceleration onto the plane will be stunning to anyone who is used to gasoline power. Fuel savings against gasoline options will approach 50% in typical uses, extending range correspondingly. The dry weight of the fully marinated unit is approx 450 kilograms along with extremely short engine build which invites more fuel capacity, additional accommodation and storage. Leonard presents the project for the 66, a model which will be the entry level of this North Italian, Adriatic sea based builder founded in 2001, after a previous 7 years experience in the refit of yachts of all types. The new 66 wants to offer flexibility and maximum customization with the possibility to choose three different options in the cabins configuration. For example Leonard shows how the hall can be set with living room and separated dining room, or arranged in a unique and vast open space, in any case with separated kitchen from the living area, which has two doors: one internal and one external to the side deck. The lower deck reserved for the cabins follows a flexible concept too, with the owner able to choose three different solutions based on his preferences; in any case, all cabins are equipped with a suite bathroom. Version 1 offers 3 cabins with mid ship owner cabin with dress room, VIP cabin to fore and guest cabin with 2 single beds in between. Version 2 is a four cabins layout: cabin owner is at the centre of the boat, offering the above plus a single guest cabin which if desired can also be used as office. Version 3 is similar to 1, with a the third cabin offering a double guest berth or call it a second VIP cabin. Crew area is located aft, with independent access door. It is a real apartment with 1 or 2 berths, bathroom, kitchen, ironing room and is directly connected with the engine room. Big view windows all along the sides of the deckhouse, allow a natural brightness of the interior. The large cockpit is arranged with a comfortable dinette that can be completely covered by an electrical sun curtain, floating in the structure of the fly. On the fly bridge there is a wide space in order to create a dinette with attached barbecue, and an area to housing the tender. A large bow sundeck and a sofa, create an outdoor living area that permit to remain in full freedom and privacy during the cruising. Power will be from twin MAN 1360hp each. A legendary builder return, this is the Norwegian Coronet having had a glorious past in the 1970s. Coronet which was founded in 1951 reappeared in 2006 first offering a 24 feet model, then the 290 Sport, and the past Spring came up with this new 290 Weekender, its largest offer in the current range. The Coronet 290 Weekender is a very interesting sport cruiser, with a nice modern line and solutions found in bigger sized sport cruisers. The hardtop is to good to be true for an 8 metre sports cruiser, being great looking for this size with a clean design and no hump effect on the eye. Another impressive clean solution is the walk through windshield in the windscreen which you hardly notice, and the large window flash fitted on the also stylish flash deck. Worth to note is that a US builder reported as being the only one to offer a walk trough windshield on an enclosed hard top on its much bigger model, I think they forgot to look out of the US for this! 290 Weekender interior offers a comfortable double vee shaped berth to fore, a separate head and a galley. The cockpit is also spacious reminiscent of a much bigger boat offering a sun lounger aft, l-shaped settee, wetbar with tub grill, and single seated helm station to starboard. Estimated performance is a 45 knots top speed with single Volvo D4 260hp engine, which I think is a bit optimistic. This so far seems the only engine option which will give excellent economy, but will also limit the market to new comers and coastal cruisers, then to those who passing from a smaller boat with want the security and safety twin engines give. San Juan presents the project of there new upcoming flagship model, the 75 which expands the range to 6 models, and to an important 75 feet length. The 75 will replace the 48 FB, as the biggest offer from this Washington based builder, which is still relatively young being founded in 1998. 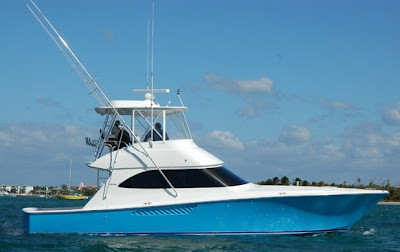 The new 75 continues the lobster inspired traditional yacht lines of the range, but unlike its smaller sisters modern solutions seem included like the two large vertical windows in the midship of the hull, and by the looks of it also some inspiration from classic sportfisher yachts, for the design of the super structure and the flybridge. San Juan has so far communicated minimum information, but if its smaller sisters are anything of note, is that the build quality of construction and finish of this builder is really second to none, so accept more of this for the new flagship. The all-new and thoroughly modern Nordic Tug 49 is a much-anticipated addition to this American builder line of classic, tug-style cruising yachts. While the 49 is a Nordic Tug through-and-through, discerning boaters will notice many subtle enhancements that elevate this model's beauty and functionality to a whole new level. The 49 was designed by naval architect Howard Apollonio of Apollonio Naval Architecture and will retain the character of the previous models, but the new hull design will benefit from advancements in design and technology. And with a shallower draft of 1.2 metres, the 49 is the ideal go anywhere boat, perfect for cruising and good both inland and coastal waters. The Nordic Tug 49 will feature a very spacious interior designed for optimal livability and incorporates the work of the highly regarded marine interior designer Judy Bell-Davis of the Bell Design Group. The two-cabin boat has a full-beam master stateroom amidships, beneath the pilothouse, and an equally well-appointed guest stateroom forward. Moonen Shipyards a leading builder of pocket-size superyachts up to 124 feet, has launched the first in its new 97 series, the latest of the shipyard’s acclaimed Displacement models. René van der Velden Yacht Design sculpted the Moonen 97 with a close family resemblance to the popular 84, with a harmonious profile, nicely flared bow, sloped stern with twin stairways, graceful sheer, and bold fashion plates. She is set over a seakindly round-bilge hull by Diana Yacht Design and has an inventive contemporary styling by Art-Line Interiors. The first yacht, Darsea, has already made her maiden passage to the Mediterranean; the second is set for launch later on; the third is in building process. The Moonen 97 is a prime example of how this dutch builder teams up with the initial client to produce a model with unique features that are universal enough to attract future clients. Combining and rearranging the outstanding features of the previous designs, Moonen created the 97 for a growing number of clients seeking a medium-size, long-range cruiser midway between the 72 and the 124, flagship of the range. The Moonen 97 with steel hull and aluminium superstructure, is an extended version of the custom build 96 Clementine, with the raised pilothouse replaced by a long flying bridge and sundeck with whirlpool bath. This results in a somewhat lower profile in keeping with the "typical Moonen" look of the Displacement Series. Below, the greater volume enabled Moonen to augment the four-cabin layout by enlarging owner and guest suites, expanding crew quarters, increasing stowage, and fitting in fuel tankage for about 28,000 litres providing transatlantic range. During sea trial, hull number one easily met her 13 knot design speed. At the "economy"cruising speed of nine knots, her fuel consumption was as expected at 55 litres per hour. In her maneuvering test she executed a 74-meter-diameter turning circle, and in sound measurements with both engines and genset running, she met or was better than predicted levels: no guest cabin exceeded 50 dB(A) at cruising speed and 54 dB(A) at maximum speed. With a steel hull and aluminium superstructure, the Moonen 97 is equipped by twin Caterpillar engines, Naiad zero-speed stabilizers, Cramm bow thruster, and is built to Lloyd’s Register Class and MCA Certification. 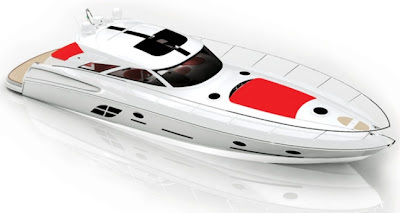 Mano, a South Italian builder presents the project of its new flagship model the M 48. The new M 48 offers contemporary classic modern exterior lines, and was the next step to take for Mano, aiming at keeping the clientele of the M35 and 38.50 into the brand. M 48 will have a classic interior layout, although the big central windows may suggest otherwise, but the plans show so far a 3 cabin layout with forward owners cabin with separate head and shower rooms, c-shaped saloon, galley, guest shower head, and 2 identical twin single guest cabins midship. The M 48 also makes best use of its spacious exteriors spaces, with an aft sunbed featuring a tender garage underneath, a c-shaped settee to port, and helm station to starboard. Worth noting is also the spacious side decks for a boat this size, which Mano says will be among the most wide in this size. Engine power and propulsion has so far not been announced. Following the success of Class Yacht 51 Premiere, it's a pleasure to introduce the new traditional cruiser from this central Italy located builder, launching the 43 Premiere Hard Top Open, just a month ago. The 43 Premiere hull for this model will also be built in three other versions: a fully enclosed Hard Top, Top Less and Sport. The Class Yacht 43 Premiere is a 100% “made in Italy” product, built in glass Kevlar and it has a polyvalent deep vee shaped hull which can navigate both in planning and displacement speeds, in total comfort. The building process of all the Premiere Yacht’s range comes from both the military experience and from the University's research, since the designer of the yacht works for the Italian Navy and is a University professor too. For the unique characteristics and for its building philosophy, the bigger sister of the 43, the 51 Premiere was chosen as testimonial of an International congress about “high performance hull” which took place in Italy last September. 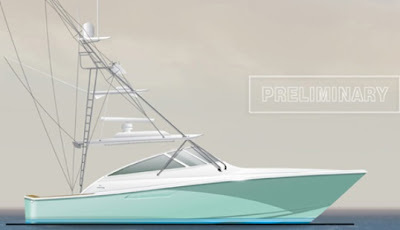 The picture above shows the first model of the 43 Premiere in the Hard Top Open version, keeping similar looks to the 51 of a Traditional Cruiser with lobster lines, but an important novelty also here with the addition of the deep side decks. The 43 is powered by Volvo's IPS500, and has a two cabin, 2 head lower deck with a customisable approach to the fitting out and the layout. Speeds goes from peaks of 32 knots in low load mode, 25 knots fast cruising, a 15 knots low planning speed, and last a slow 9 knot displacement speed which Premiere says will still keep you in absolute comfort, unlike other planning boats. The ZT350 is an all-new sterndrive, designed and manufactured by Yanmar Marine for use with its BY and LP series diesel engines. The quiet, hydrodynamic ZT350 has a new type of hydraulic clutch for smooth operation, precision-forged gears to add durability, plus two counter-rotating propellers to maximise acceleration and enable tight-hold tracking. Its large rudder dimensions allow superior handling on single and twin-engine boats. Weight with propellers is just 112kg. With maximum power 350hp (257kW) at 3,800rpm input the available gear ratios are 1.65 and 1.78. At a maximum 260hp (191kW) at 4,000rpm, gearing is 1.97 or 2.18. Aimed at the repowering market as well as new craft, the new Yanmar drive has the same installation dimensions as compatible units currently available in the market. The new Marquis 720 Fly Bridge is this US builder new flagship model offering an expansive and substantial vessel, with an opulent living accommodations providing the owners and their guests with a widely variable selection of living and entertaining environments. The salon of the new 720 is to be the place for social gatherings and evening dining with adjacent gourmet galley and serving center situated on the same floor level as the salon, a feature that is difficult to find in similar sized yachts but certain to be appreciated by those considering the 720. Three separate staterooms, three head compartments all equiped with dedicated showers, with a fourth stateroom available as option are situated below decks. The owner's stateroom uses the yacht's full beam to provide a true yacht grade living environment. A much sought feature on the Marquis 720 is the cabin located off the yacht's transom and swim platform, with this area being utilized as captain's quarters or as a sea side cabana complete with its own shower, head and sink. As with all Marquis Motor Yachts, the new 720 Fly Bridge is built complying with CE A Classification, one of the most serious yacht construction specifications in the world showing not only its beauty but the making of a true global class yacht. Back Cove Yachts has grown significantly since the first 29 was launched in 2003, and delivering 300 craft after this in a 6 year period. The market has accepted Back Cove traditional looking cruisers, with overwhelming enthusiasism and the question asked to the US builder what size will be the next model, following the overwhelming success of the 33. Naval architecture logic says that planing, single engine boats that like to go more than 20 knots, are limited in LOA to about 11 metres due to weight and drag factors, so Back Cove's design team has envisioned the 37, which will be its current largest offer at 37 feet. Her interior will feature two private cabins and a shared head with stall shower. She will have a mid-level galley and a fully enclosed sedan style helm deck. Her exterior offers the same hallmarks that other Back Cove models provide. Safe and wide side decks, great deck hardware a very crew-friendly foredeck and a large cockpit with plenty of seating. Standard power is a 480 HP Cummins QSB diesel engine and she'll have gen set and air conditioning supplied as standard. At the helm, two Stidd seats offer comfortable perches for helmsperson and crew. 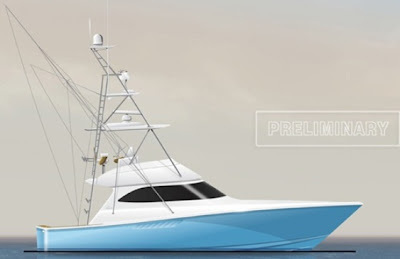 Bertram Yacht remains at the forefront of nautical design, quality performance and innovation as it unveils its latest breakthrough model; the 540, a new yacht that will be sure to make a stir in the sport fishing industry. The impact of the classic Bertram 54 was distinctive in the marine industry in its time, becoming one of the most sought classic models over the years, with the new 540 the US builder aims to emulate the success of its renowned predecessor. The 540 introduces new innovative elements to a sport fish craft, resulting in a yacht that delivers ultimate steadfast performance and sea keeping ability of a fishing vessel combined with the luxury of a cruising yacht. Aside from incredible seaworthiness thanks to a complete new hull design, the 540 offers new attributes to enhance the cruising experience. Undoubtedly, the most striking new feature is the forward wrap around window that provides breathtaking views of the surrounding waters and allows for an incredible amount of natural light to shine in the welcoming upper saloon. The yacht is also available with a lower helm station, something not seen much in pure sportfish yachts but also in a Bertram of this size. Bertram also says that the state of the art windows are made of multiple layers of glass and are tested and designed exclusively by parent company Ferretti group's Advanced Yacht Technologies, engineered to hold up to the roughest sport-fishing conditions and are actually reinforced directly into the fiberglass hull, contributing to the overall hull strength and design. The open view layout of the new 540 is radiant with white oak, providing an elegant richness and enhances the natural light that enters the salon. Another novelty is the galley area located astern, featuring a beautiful open bar area to facilitate movement between the salon and cockpit entry way, for a more open entertaining and dining experience which with the retractable aft cockpit window, makes for easy pass through of drinks and food between the cockpit and the galley. 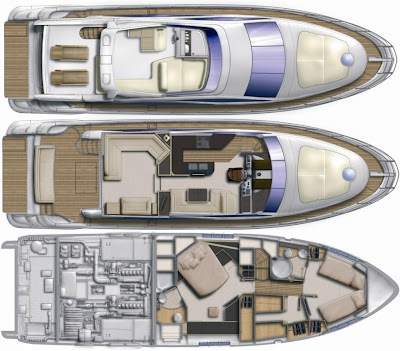 Many elements coming from the Ferretti Group Yachts where incorporated into the design of the new 540, enhancing the overall ease of use, providing the ultimate entertainment experience for all of those aboard making it a unique Sportfish Yacht in its size. Outfitted as an extreme fishing machine, the 540 is also streamlined with features that adhere to the needs of the true fisherman with maximized storage space: holding up to 25 fishing rods, additional tackle storage incorporation into the mezzanine along with a baitwell and freezer, transom fish box, and fish boxes on the cockpit floor placed on each side of the fighting chair for easier access from the transom door. With its universal appeal, the new 540 is proof of the steady commitment to excellence which push the standards of yacht building, and Sportfish boats alike while staying committed to the core principles and classic design of the historical image that the Bertram name owns. 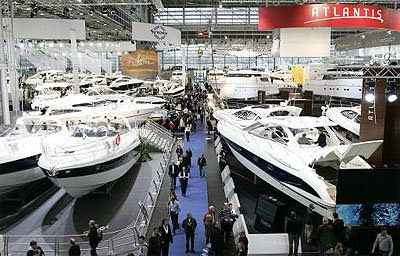 Despite troubled times in the global economy, Düsseldorf is confidently looking forward to boot 2009, which will celebrate its 40th anniversary staging at the Düsseldorf Trade Fair Center from 17 to 25 January. Hailing from 55 countries, a total of 1,650 exhibitors will be present at the event with the spotlight on the premieres, maritime products and services in 17 exhibition halls that cover 220,000 square metres of floor space in total. The event is nevertheless expected to fall slightly short of the record-breaking 2008 edition of boot with its 1,700 participation's. 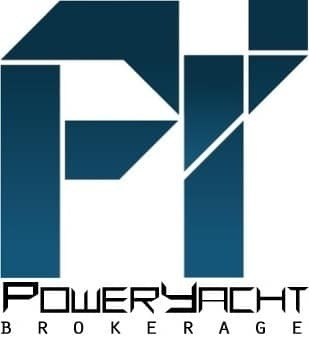 Which is not to say that in terms of international reach, depth and breadth of offerings boot 2009 will not deliver its customary panoramic overview of the global market for yachting and watersports. Some 700 exhibitors a good 40 percent of the total will be arriving from abroad and occupying almost half of the exhibition space. The key countries of origin for exhibitor contingents are the Netherlands with its 140 yards, suppliers of equipment and accessories and service providers, followed by Italy (90), France (60) and the UK with 25 participants. The countries of Northern Europe will be stepping out in Düsseldorf with 30 companies. A lot new boats starting with the Horizon Elegance 60 Open and 52 Tournament, Galeon will present the 325 in HT version, Atlantis present a refreshed version of the 55 with a more plush cherry wood interior, and the much waited Bavaria 46 for its BMW design. The thinking is that for the 11 metre size we have seen all, and there is not much more to put in a sports cruiser having this dimension. I would say that Rio's 36 Art has some words to say about this, a new model from the long established North Italian builder who wants to regain its leadership position in this size. Presented for the first time at the Genoa Boat Show this new model expands the succesful Art range from Rio, now offering 5 models of well refined and ultra comfortable sports cruisers. The 36 Art takes over Rio long standing 35 Cruiser with not could have been a better replacement, not only for its sporty, and aggressive lines, but most of all for its ultra spacious interior and innovative free spaces exterior cockpit. The interior is where the 36 Art outshines all boats of its size, thanks to the full beam owners cabin. Something rare in a 40 feet plus boat but common thinking would say impossible for a 36 footer! It really leaves only the size, the only similarity to the competition, thanks to the minimal laid 2 stateroom en-suite interior, but also the free space approach of the cockpit. The only minus point is the small 120 litres water tank for a boat this size, which I hope Rio upgrades, for the rest this a top class Sport Cruiser in its size, which really puts some new space thinking. Nord West presents the project of the 370 SportsTop, a hard top version for the newly launched medium sized 11 metre 370 Sport, presented during the Scandinavia show. The main difference between the two models, is the adding of an all weather hard top for this soon to be launched new version of the 370, adding a real complete package to the already superlative features which already makes this a bit of a special model in its size. None the less this new 370 SportsTop keeps the features of the Sport version, like the rare to find IPS or stern drive option, a welcoming luxurious 2 cabin 4 berth interior with an additional extra 2 berths in the convertible saloon, and the cockpit which is practical for the thinking to enjoy this area when it is the warm climate, but with the good looking hard top becomes usable in all weather being it sun or rain. Sea Ray's new 43 / 475 Sundancer is destined to be an instant classic, this is what this renowned US builder declared on its launch. Surely this is a quality design from the US, and it's packed from stem to stern with winning features and innovations, including Zeus 360° Control pod drives with an intuitive helm joystick for stress-free docking. There is also the hard top, with two independently retractable sunroofs, offering the ultimate in full weather navigation, all around protection and outside climate control. Inside the 43 Sundancer is a luxury affair, with a bright roomy saloon and galley opposite welcoming you into the cherry wood finished cabin area. Worth noting too, is the spaciousness of the galley that has a full suite of appliances plus amazing work and storage space. Sleeping is in two luxurious en-suite cabins, with owners stateroom forward, and a guest twin bed mid cabin, which if desired converts to a double. This luxurious new 43/475 Sundancer takes also so much from the outside lines of the 55/575 Sundancer, which was launched 2 years ago, with a practical modern approach to boating thanks to the Zeus pods, but also the fully enclosed hard top which makes this express cruiser, good for all season usage. The only thing that confuses me is the change of model name for the European market from 43 to 475 Sundancer, for the rest this seems a great boat in its size which apart the interesting technical innovations, should also get a lot of attention for the space it delivers on the cockpit deck. Heaven is an Italian company from the South Rome town of Anzio, building ribs from 28 to 80 feet, which the attentive readers of PowerYacht-Blog will remember for the record breaking 80, a Super Rib of 24 metres presented officially during the Genoa Show. The spectacular 80, did put Heaven to the attention of all the media, but it is fair to say this is not the first rib produced by the Rome builder, who founded in 2003 has been going from good to better in Central and South Italy producing super ribs like the 55, and other rib boats from 28 to 44 feet. Heaven success versus other similar builders is for sure its customisable approach, versus the standard offered from the other ribs producer, who usually offer an of the shelf how it is product being it 20 or 50 feet. New Heaven website is available in Italian and English language, and focuses on giving an image of this alternative young company. The new site is divided in the following sections: Company, Dealers, Prices, Used, References, News and Contacts. For viewing of the Heaven range of eight ribs from 28 to the 80, they are listed on the main page under the main menu. Fashion Yachts presents its new 85, a WOW factor super sport yacht thanks to the color and the aggressive lines. Inside the new Fashion 85 features a classic 4 cabin layout, with mid ship full beam owners cabin, VIP cabin to fore and 2 double single cabins in between. For hull number one, furnishings is a trendy wine Bordeaux leathers and opaque maple woods. The hardtop is one of the innovations of the 85, finished in carbon which becomes transparent or totally dark thanks to the push of a button and the special glass used. The aft deck is also another innovative area compared to other Sport Yachts of similar sizes, which thanks to the chaise lounges, and settees used this can transform as one sees fit, from an open space plan to one full of settees similar to what is found in much bigger boats. Propulsion wise the Fashion 85 is powered by twin MAN 1500hp, propelled by SDS5 surface drives, giving a top speed of 39 knots with a medium load. Fashion 85 continues the trend of this builder to present high quality looking sports yachts, with what could have been more look alike to the nice 55 and 68 models, which do offer a unique exterior image versus the competition. A 44-metre high performance planing yacht, that’s the new project model from Baglietto designed by renowned architect Francesco Paszkowski. The innovative yacht is the basis for another new model, the 34-metre Carbon. As well as the shaping lines of the third in the 44-metre series, Francesco Paszkowski Design also handled the interior layout, with five cabins on the upper deck, a large salon with separate dining room on the main deck. The owner selected a light oak interior combined with exquisite leather furnishings. The eye-catching wheelhouse, roofed entirely in glass, reminds of the sport look from the Baglietto open series. Built at the Baglietto boatyard in Varazze, the launch of this 44-metre yacht is due in 2009. 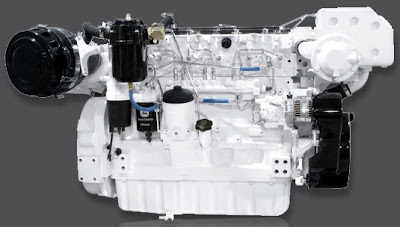 John Deere Power Systems is pleased to announce its newest marine engine, the PowerTech 6090SFM75 marine diesel engine. 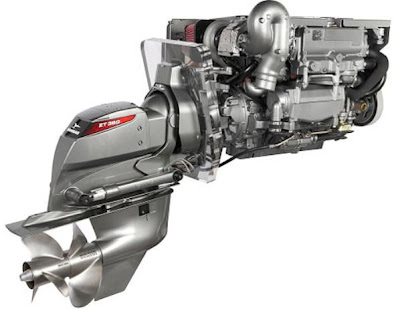 The PowerTech 6090SFM75 is the newest addition to the John Deere marine engines lineup and boasts up to 500 hp. The new PowerTech 6090SFM75 has 9.0L of displacement and offers up to 373 kW (500 hp). The 6090SFM75 is a six-cylinder, electronically controlled, turbocharged and air-to-sea water after cooled marine engine with side or front service locations. And with high torque at low-rated speeds, customers will enjoy excellent vessel control and maneuvering. Australia’s Maritimo, renowned manufacturer of long-range luxury motor yachts, has just launched the first of its Aegean range, the Aegean 60. Essentially, the A60 as it is referred to is the 60 Sports Cabriolet with a beautifully-styled open flying bridge added to its superstructure. Access to the flybridge is via an internal staircase on the starboard side just aft of the lower of the two helm stations. If you love outdoor entertaining, there is certainly plenty of room for that aboard the A60 with the open flybridge providing a comfortable area to enjoy views and sunshine. Down below, the expansive cockpit has more than enough room for al fresco dining, and boating gourmets will love the aft galley which provides all the luxuries of home and more. Galley is also equipped with an ample fridge freezer, plenty of storage, a cocktail cabinet and even a dishwasher for easy clean-ups. Elsewhere, the A60 boasts all the luxury, safety, comfort and performance of the C60. An impressive saloon, four staterooms, including a full-width master with superb en-suite and walk-in wardrobe, all add to the A60’s undeniable appeal. When it’s time to go ashore, the cockpit sole elevates and the transom drops at the push of a button to reveal a garage big enough to store a 3.5 metre tender, which conveniently slides in and out. 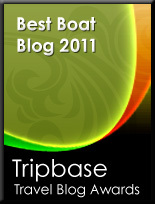 A not much used solution this one on flybridge boats. Moving into the engine room we find that it’s the same impressive setup as that aboard the C60, full-height headroom, big-boat systems, and dual C12 Caterpillar diesels each delivering 715hp which provide a 30 knots top speed and 25 knot cruising performance. For 44 years Viking has devoted itself to building competitive sportfishing boats, so even in hazy economic times such as we are experiencing today, Viking refuses to rest on its laurels. While it has been a tradition at Viking to introduce new models on a regular basis, for each boat that is launched, there are others waiting in the wings of it's design department’s drawing boards. Rather than adjusting to market trends, the forward thinking philosophy that drives Viking provides a backlog of future models. Two such models whose time may have arrived are the new entry level to Viking's exquisite range of Sportfish boats, the 42 Convertible and the Viking 42 Open, which are candidates for launching in this 2009 year. While these new project models share the same length and hull, they are as unique as day and night. The above Viking 42 Open, appears to be the ideal day boat with rakish good looks, but frankly the US builder declares it is much more of a cruiser with timeless lines. The standard layout features a forward stateroom, twin berths beneath the command deck, a full head and shower, a compact galley to starboard and a dinette to port. Also available is an alternative layout with accommodations for four in two private staterooms along with two heads, each with a fiberglass shower stall. The berths tucked in beneath the command bridge boost the sleeping capacity to six. This space becomes available due to use of Volvo IPS drives, a significant departure from other Vikings. As you would expect from Viking, the cockpit has a tournament pedigree and the command bridge includes three pedestal helm seats, along with plenty of lounge seating and ample creature comforts. The project of Viking 42 Convertible is another incredibly well proportioned Sportfish Cruiser, with its nearly 16 feet of beam it allows three staterooms and two heads below with room and comfort to spare. Likewise in the deckhouse, every available inch has been put to good use with a comfortable sofa, a dinette and a practical galley. The cockpit sports Viking’s signature observation mezzanine - something rare on this size, while the flying bridge exhibits every amenity found on its larger siblings, albeit in a scaled down version. Initial specifications call for the Volvo IPS pod drive system. These two project models demonstrate Viking’s pulse on the emerging entry level market, and an extra more reason why Viking Yachts is considered one of the worldwide leaders in luxurious, high performance convertible yachts. Ferretti 631 is the evolution of the model 630, a craft that has been the pioneer of the onboard space revolution thanks to the introduction of the astern galley. This new evolution of what have been a successful model for the Italian builder, differs from the 630 with the enlargement of the uninterrupted spherical glazed surface extending from stern to bow, sharper outstretched flying bridge, longer vertical view window in the VIP cabin forward, and the radar arch spoiler replaced by the central aileron, as found on the recent 510, 592 and 470 models. Internally, the craft offers the spacious 3 cabin and identical layout as the 630 equipped with the latest open-view windows and fine furnishings. Twin MAN engine options, of 1100hp or the 1224hp power the 631 with the more powerful options, giving cruising speeds of 30.5 knots and a max of 33,5 knots.